Three types of environmental labels to indicate environmentally-friendly products have been established or are currently under discussion by the ISO (International Organization for Standardization). The Ricoh group has been actively promoting the use of these labels to help our customers, who are concerned with environmental conservation. A third party organization specifies the standards for environmentally-friendly products for Type I label certification. Ricoh has been actively working on certification of their products for these environmental labels. Type II labels indicate an environmental claim made by the manufacturer themselves, without evaluation by a third party. Ricoh has set up company standards on recyclable designs, reuse rate for parts, recovery system, resource recovery, and environmental safety. Products that meet these standards carry a Ricoh Recycle Label when shipped from the factory. Unlike Type I and II labels, Type III labels have no standards to meet. Instead, the users themselves evaluate the level of the environmental impact of the product based on quantitative data from an LCA (Life Cycle Assessment). 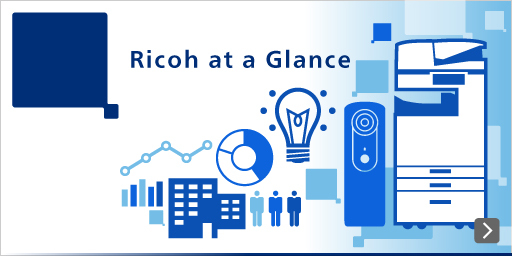 The Ricoh Group acquires third-party certification on the quantitative data we publish in order to improve their transparency and credibility. The Ricoh Group supports a new environmental rating system in the USA known as "EPEAT (Electronic Product Environmental Assessment Tool)." As of August 31, 2014, a total of 84 multifunctional copiers and printers manufactured by us were successfully registered in EPEAT. Of these 84 models, 38 were registered as "Gold," 46 as "Silver," and one as "Bronze." Of the 77 models that are rated as "Gold" in the industry, a majority of them (38 models) are manufactured by us. This is the highest achievement in the industry. The International ENERGY STAR Program is a regulatory system based on standards that the United States Environmental Protection Agency (EPA) has set to promote energy conservation in office equipment. It sets its requirements to identify the top 25% products that excel in energy conservation features, and products that fulfill these requirements are granted the right to use the International ENERGY STAR mark.